With four results in, Labour looked set to trail the UK Independence Party (UKIP) in third place in the share of the popular vote. It put the Tories first with 27%, followed by UKIP on 17%, Labour on 16%, the Liberal Democrats on 14%, the Greens on 9%, and the BNP on 6%. 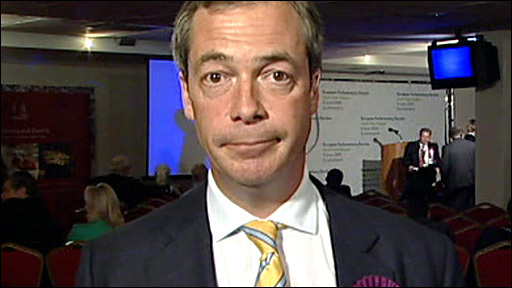 UKIP's leader Nigel Farage said that the result showed that his party's unexpected third place in the last European elections was no fluke.